A few years ago, I had an occasion to attend a meeting addressed by a gentleman, who manufactured prosthetic limbs in Pune, my home town. After demonstrating the working of his prosthetic limbs, he called on stage two or three of his patients, who were fitted with prosthetic limbs made by him. As they narrated their own experiences, I had goosebumps all over my body, realising how helpless and down in the dumps, these people must have felt once and the sheer ecstasy and thrill that must have come over them after having been able to walk again. I understood that day the joy of walking. People loose their limbs mostly due to accidents or sometimes because these need to be amputated specially for diabetic patients. One of the major cause of limb loss is war and soldiers suffer due to this to the maximum extent. To help such soldiers, Indian army had set up The Artificial Limb Centre in Pune in 1944 itself. 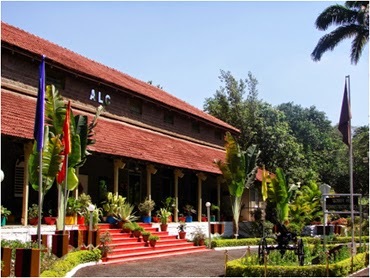 Although ALC was raised with the primary objective of meeting the prosthetic and orthopedic requirements of disabled personnel of the armed forces, from 1951 the facilities were gradually extended to civilians as well. In 1958, a 70 bedded civilian wing was added to this Centre. A 120 bedded ward was already authorized for Defence Services personnel and ex-servicemen. The problems with prosthetic limbs produced till about 1970, were many. These were at their best, poor substitutes, painful to use and very expensive. The break through came in 1968 when a person;Ram Chander Sharma, came up with his innovative and new design of a prosthetic limb under the guidance of Dr. P.K. Sethi, who was then the head of the Department of Orthopedics at Sawai ManSingh Medical College in Jaipur, India. It is is a rubber-based prosthetic leg for people with below-knee amputations. Since it was developed at Jaipur in Rajsthan state of India, the name Jaipur stuck to it and is now commonly called as Jaipur leg or foot. Readers might be surprised to note than more than a million Jaipur foot have been supplied to sufferers all over the globe. According to the manufacturers, these features help a physically-challenged person assimilate more easily in a semi-urban or rural setup in the Indian subcontinent and other developing countries. Perhaps the best living advertisement and brand ambassador for Jaipur foot has been an actress and a dancer; Sudha Chandran, who had lost a limb in 1982. She was fitted with the Jaipur Foot and actually started dancing once again. Her recovery was made the theme of a film in 1986 , “Naache Mayuri”. Sudha Chandran actually had acted in this film. In October 2010, I had visited famous Angkor temples of Cambodia. There is a museum known as “ Landmine Museum” situated on the road towards the famous temple of “Bante Strei.” Cambodia's deadly relationship with landmines had began in 1975 when Chinese backed Khmer Rouge or the Communist party of Cambodia, captured power in Phnom Penh under leadership of Pol Pot. During next four years, the poor people of Combodia were subjected to leave their homes, work in fields and were tortured at the slightest suspicion of being anti communist. The war ended only when in 1978, Vietnamese forces again entered Cambodia and defeated Khmer Rouge. During these four years of war, landmines were laid all over Cambodia. Thousands of innocent Cambodians have fallen as victims to these landmines since those years and many have lost their limbs. There rehabilitation has been a major challenge faced by the country. 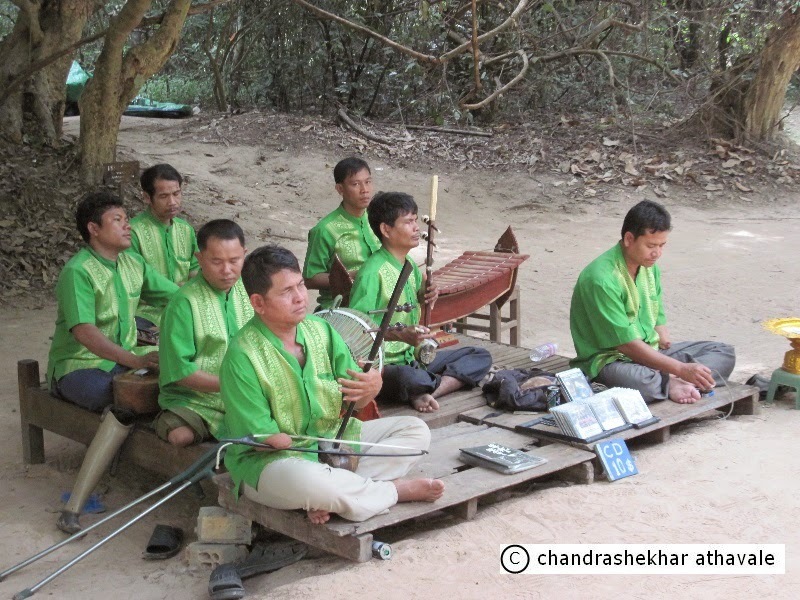 I saw a troupe of musicians disabled by landmines performing near famous temple of Ta Prohm. Another war torn country, where landmines have played havoc is Afghanistan. As a great humanitarian effort, an Indian organization has signed an agreement with the Afghanistan government to supply 1,000 prosthetic legs to terror attack victims and polio sufferers. By now readers must have guessed it that the prosthetic limbs supplied would be Jaipur foot and these would be supplied free of cost. Amina Afzali, Minister of Work, Social Affairs in Afghanistan has told the Pajhwok Afghan News agency; “Jaipur Foot” will manufacture limbs for those who have lost their legs to roadside bombings, terrorist attacks or polio,” She also hoped the assistance would further consolidate relations between the two countries. An agreement to the effect was inked between Afzali and DR Mehta, founder and patron-in-chief of Jaipur Foot. Indian ambassador to Afghanistan, Amar Sinha, said India was committed to continued assistance to Afghanistan. India has also planned to train staff at the Disabled Technical Institute in Afghanistan to produce artificial limbs themselves. I think that what Jaipur foot has done with this agreement is something that is beyond any words. It would bring back smile to faces of 1000 Afghani innocents, as they would once again enjoy the joys of walking again.